Saturday October 21st. 4pm into the evening. Ian Krause captures the essence and culture of Tacoma’s underground street scene in this one day event. Local photographer Zachary’s candid and personal photographs showcase contemporary talent throughout the Pacific Northwest. Capturing intimate glimpses of life, at concerts, in the recording studio and in their community. This event is matched with live drawing and musical performance. This event is free and open to the public. We want to meet you and show you who we are. We hope to see you there. This weekend I will be opening up my studio located in Fulcrum Gallery. Please join myself and Scott Nelson Saturday 11-4 and Sunday 11-2. for a hands on project, a selection of glass working videos, and I the award winning Tacoma Put Put course will be available for play. Additionally if you enjoy good prices on unique glass gifts I will have a variety of works for sale and I will be offering up Baby Head Cup seconds for sale. 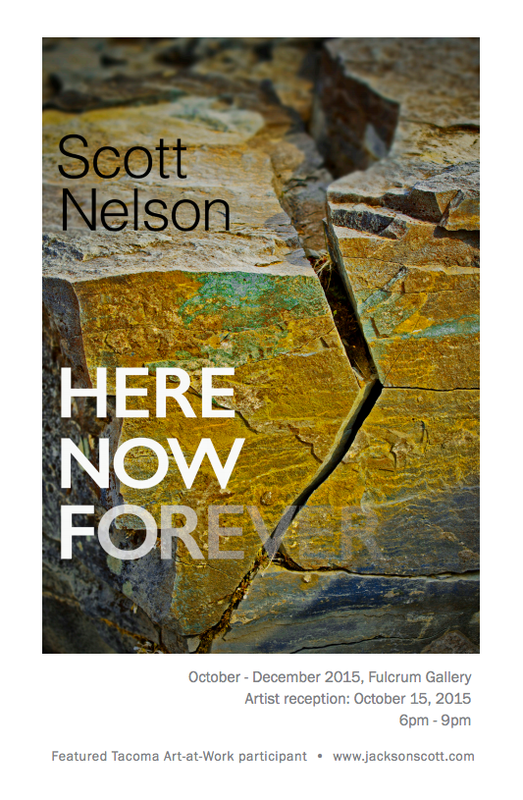 Additional pieces of Scott’s current artwork will be on display for Here Now Forever. For the map of the Tacoma Studio Tour please visit the Official Site. 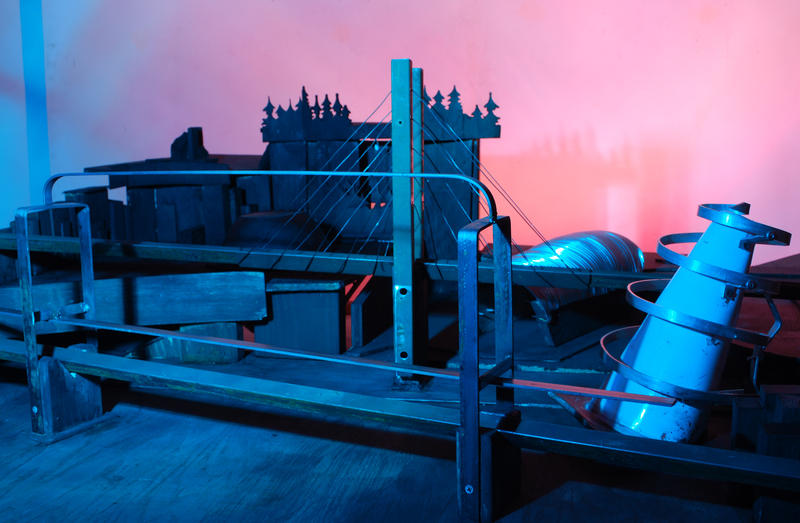 Tacoma Put Put: A realistic model of Tacoma Washington that doubles as a miniature golf course. During open studios, Scott Nelson will demonstrate the process of transferring photo images to glass and other media. Anyone who stops by will be able to take part in the process, and will get to take home a small photo keepsake that they have helped to make. Hope to see you there. Isaac Olsen (voted best Tacoma filmmaker by the Weekly Volcano) hosts this event at The Fulcrum Gallery (voted best Tacoma gallery by the Weekly Volcano) about Girl Trouble, the most celebrated Tacoma band since the sonics. 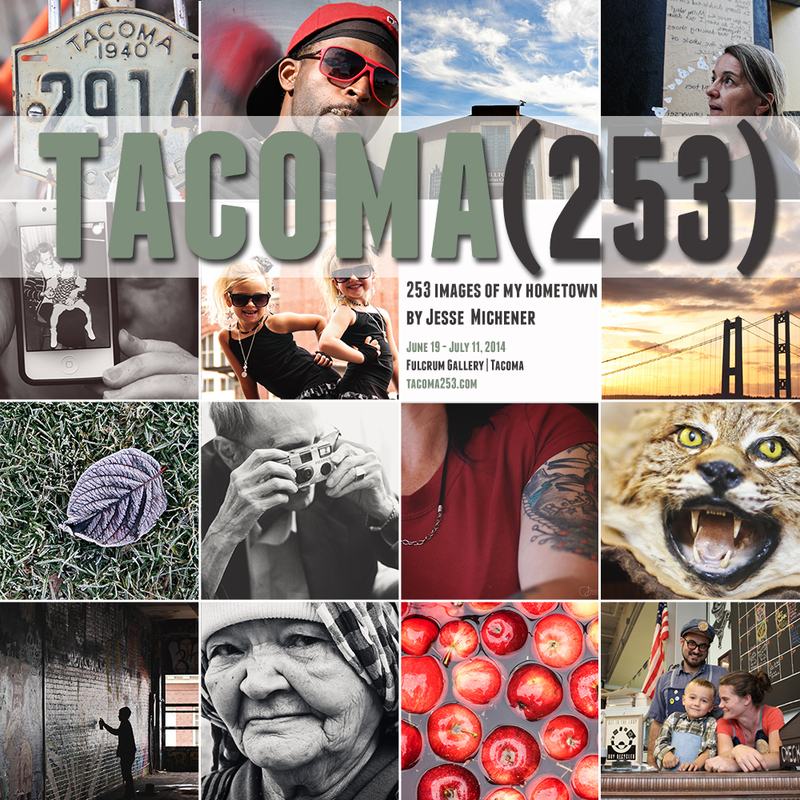 Considering the ingredients, this is sure to be the very best Tacoma art event of the season! STRICTLY SACRED: THE ART OF GIRL TROUBLE is an extension of the acclaimed documentary film of the same name. Directed by Isaac Olsen and premiered at the Seattle International Film Festival, Strictly Sacred chronicles the 3 decades long career of the band using extensive video and audio material. Girl Trouble has been firmly planted in the Northwest music scene for 30 years, existing on the fringes of Grunge and virtually every other regional movement. Their uncompromising DIY aesthetic and then-unfashionable allegiance to hometown Tacoma, Washington has made them a legendary cult-like phenomenon. During this time, the band produced a wealth of artwork in support of their musical concept, generating every graphic, flyer, album cover, and fanzine completely in-house. This gallery exhibition collects together all of Girl Trouble’s archives; some featured in the documentary film and some seen here for the first time. On display will be artifacts from the bands tiny museum-like practice shed, full sized paintings by drummer Bon Von Wheelie, original Wigout fanzine paste-ups, T-shirt art by guitarist ‘Big Kahuna’ Henderson, props and models used in GT videos, the dress once worn by infamous 85 year-old go-go dancer Granny Go-Go, and other historical knick-knacks accumulated over the years. Limited edition prints of artwork and photography will be available for purchase. Girl Trouble will be in attendance on Thursday September 11 (opening night) for a Q and A.